At the tap of a button, you can now sing duets with your favorite artists on Yokee and share the video with friends, family, the Yokee community, and on social media. Yokee is a social singing app that has been downloaded by over 80 million users. It boasts a huge song selection and many social media sharing features. And starting today, everyone can sing duets with singer-songwriter Gabriella! Gabriella is a 25-year-old singer-songwriter-composer and The Voice France contestant. Her rendition of Coldplay’s “The Scientist” was viewed more than 200 million times on the internet (all platforms combined). 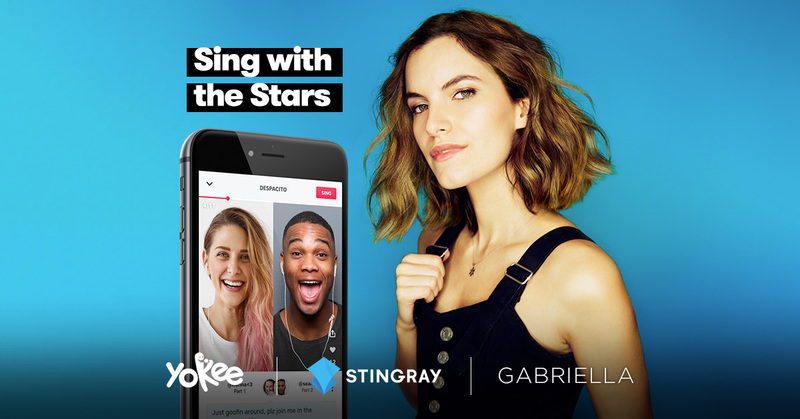 Gabriella is the first artist to record exclusive tracks for Yokee’s “Sing with the Stars.” You can now sing with her on her version of “The Scientist,” by Coldplay. In the coming weeks, Gabriella’s songs “On cherche encore (Never get enough),” “Tu es flou,” and “Sorrow” will be added to the app. In the next months, Stingray plans to announce agreements with additional artists for pre-recorded original songs and covers.